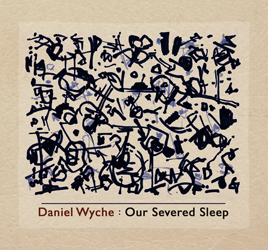 (Wire) Daniel Wyche writes to say that the two 18 minute tracks on this release are a response to an ongoing sleep problem he's been dealing with. Plausibly, the rationale is that if he can't have a good night's rest then no one will, as five minutes into "I Give My Language To More Than History" the guitarist delivers a blowout to wake the dead. Wyche most often plays out solo, but here he is joined by drummer Ryan Packard to make freeform sludge-psych somewhere between Mainliner and Leeds duo Guttersnipe. "William's Song" unleashes the proverbial fury at roughly the same point, even as its freeness codes the music more as jazz than rock.